Boil, braise, raw, sauté, steam. 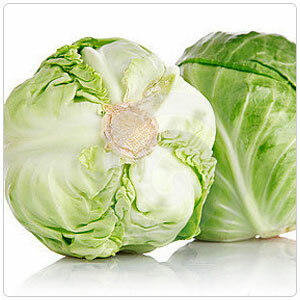 Fermented and transformed into sauerkraut, cabbage becomes a new vegetable altogether. Cabbage comes in many shades and combinations of green, red, purple and white. The common cabbage is a relative of savoy cabbage, broccoli, Brussels sprouts, cauliflower, kale, collard greens and kohlrabi.